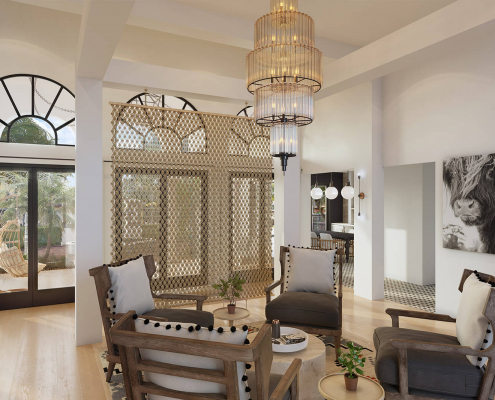 Since 2006, 3DAS creates exterior and interior 3D renderings for the Boca Raton, Florida area. 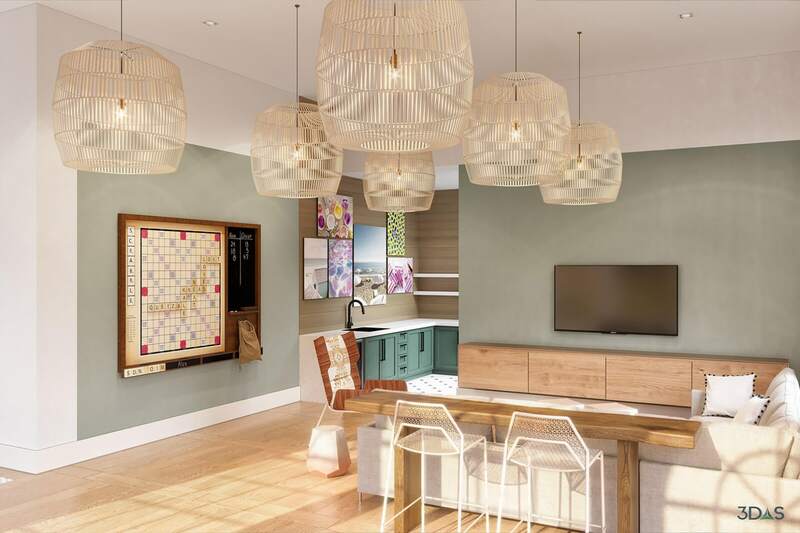 Below you will see some of our most notable renderings from Alister Boca Raton, Avalia, and Bella Boca. 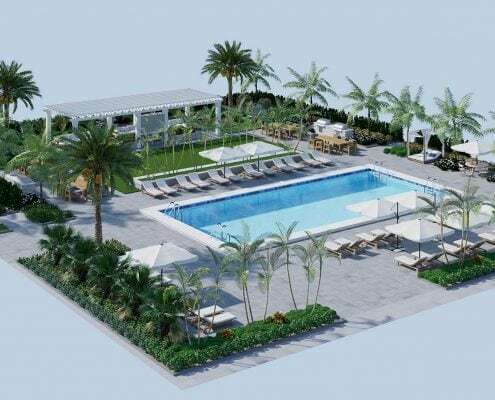 3DAS was commissioned to create the pool house, gathering (entrance), cafe and fitness area 3D renderings for Avalia located in Boca Raton, Florida. 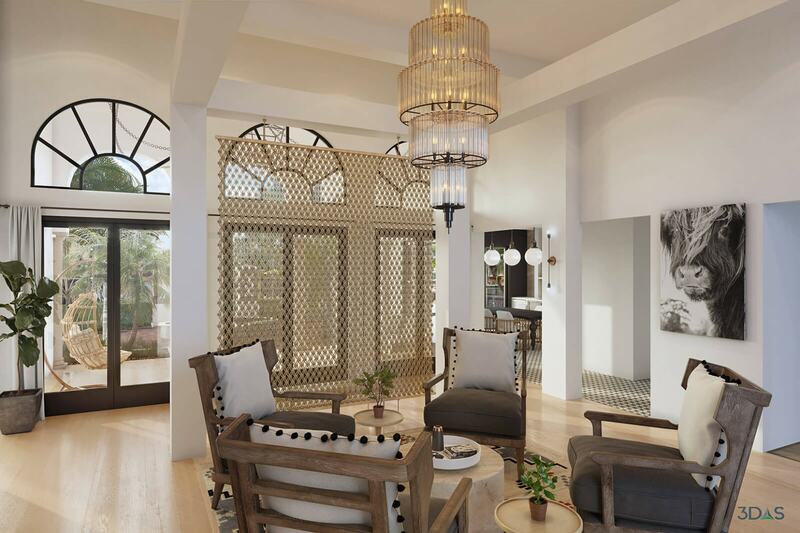 Avalia offers unrivaled apartment living in the heart of Boca Del Mar. 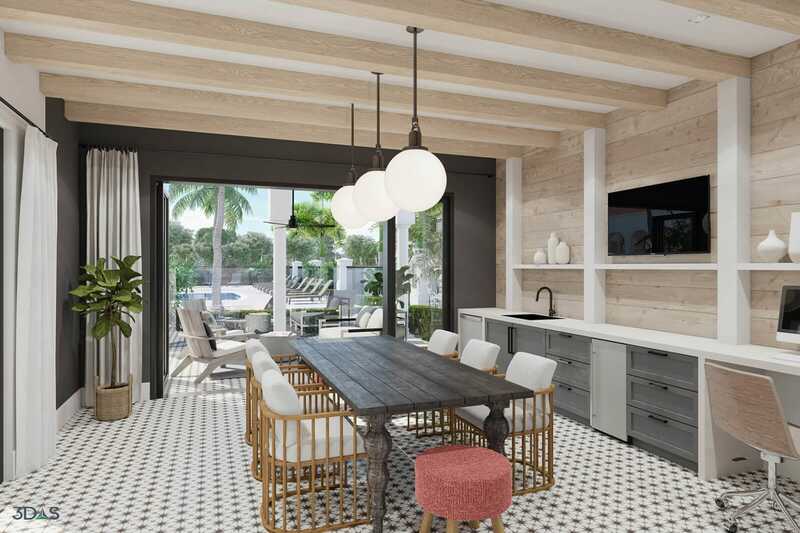 Featuring town homes with attached garages and stunning amenities like a resort-style pool and an impeccably designed resident lounge, Avalia is Boca Raton’s best kept secret. To learn more about Avalia, please go to their web site. 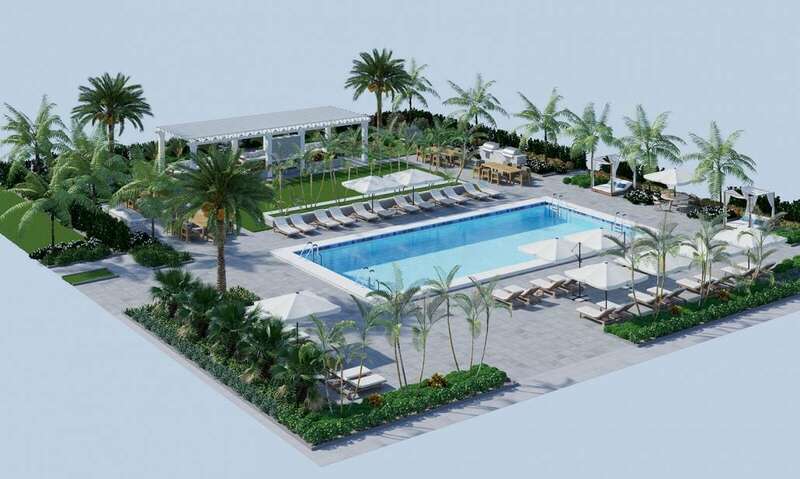 Alister Boca Raton 3D renderings include a 3/4 view pool resort, clubroom and fitness / gym area. 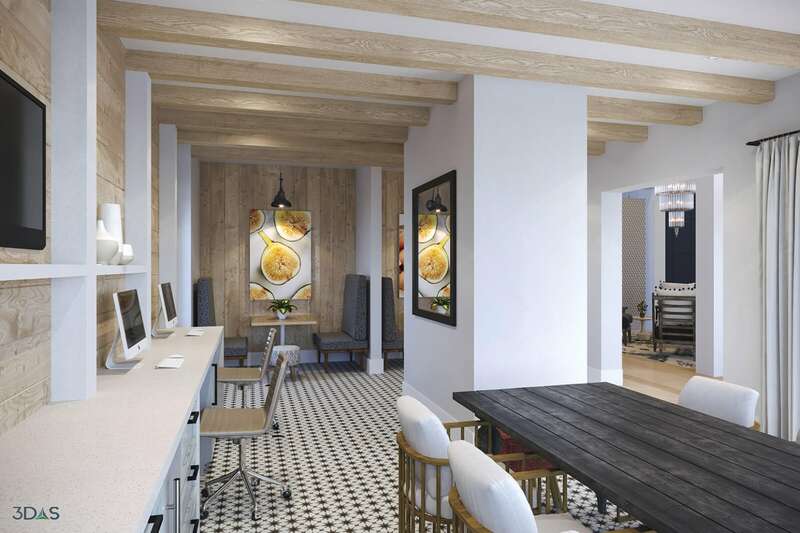 Alister Boca Raton’s apartments have received an overhaul, with, well, all-new everything. We have invested thousands of dollars in each home and added brand-new features like stainless appliances, custom cabinets, hard surface counters, upgraded fixtures and real wood flooring. We’ve added beautiful landscaping, designed to dazzle with local botanicals and blooming flowers everywhere you go. Every building, too, has received a face-lift of sorts, with a new designer paint scheme. 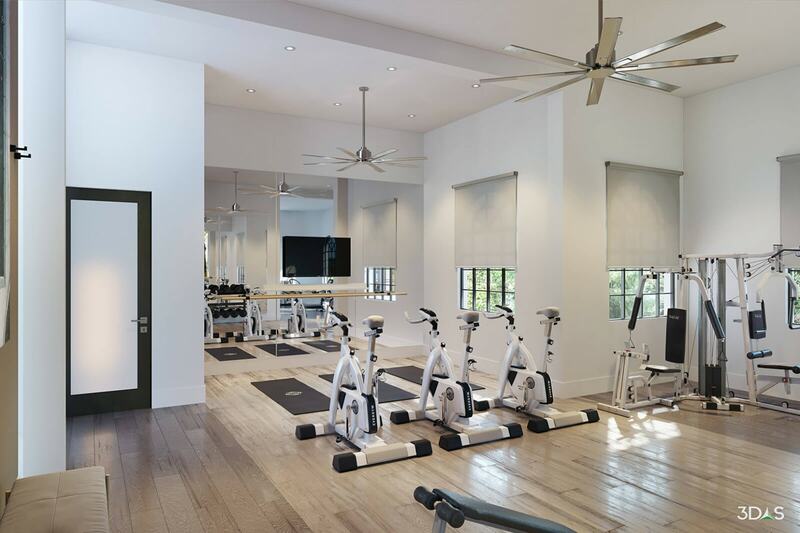 To learn more about Alister Boca Raton, please go to their web site. 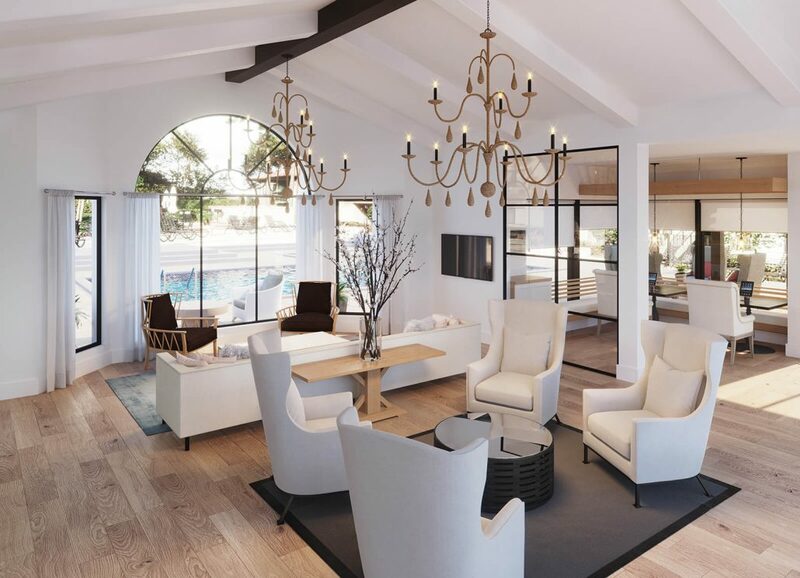 Interior designs were done by CID Design Group. 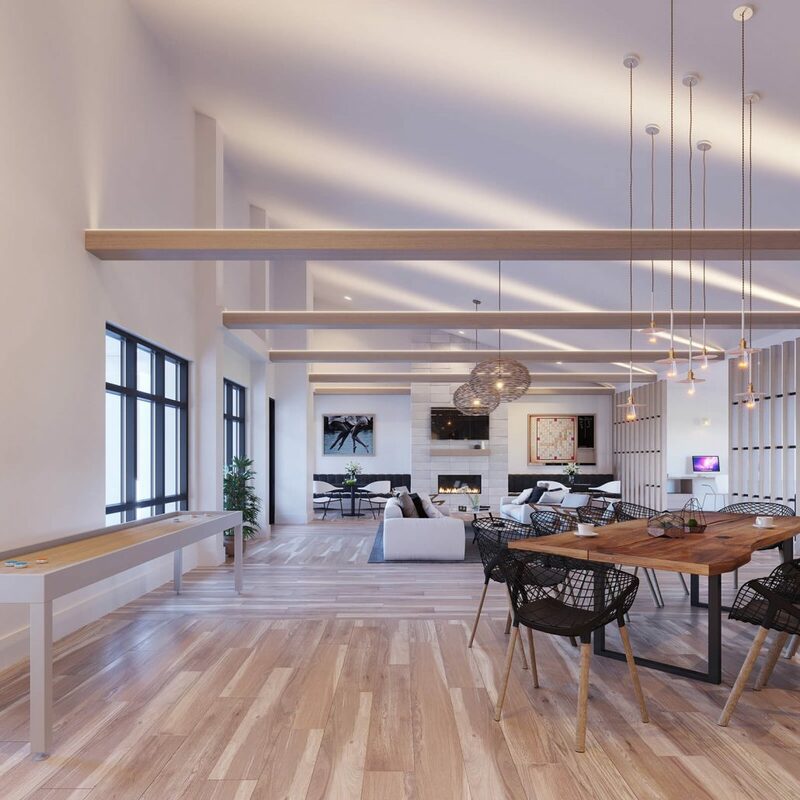 3DAS was commissioned to create 3D renderings for the Bella Boca Clubhouse in Boca Raton, Florida. Bell Boca Town Center, formerly known as Archstone Boca Town Center, located in Boca Raton, FL. As a resident of Bell Boca Town Center, you will have convenient access to upscale shopping and dining in and around Palm Beach County. Take a short drive down Palmetto Park Road to visit the beach or check out the Boca Raton Mall and Florida attractions such as Gumbo Limbo Nature Center, Sugar Sand Park and FAU Stadium. 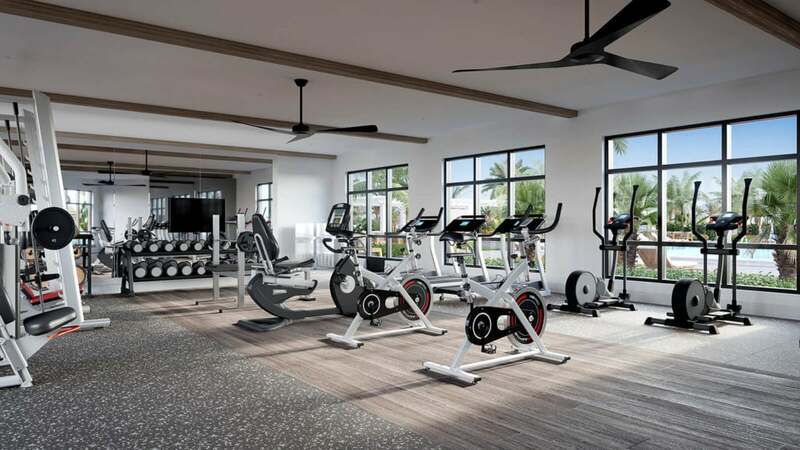 You’ll find that everything you need is close by at Bell Boca Town Center. To learn more about Bella Boca, please go to their web site.